Creso Pharma Limited (ASX:CPH) has signed a binding Letter of Intent (LOI) with Brazil-based market-access and distribution service company Sin Solution, giving the leading supplier of cannabinoid-derived products a strategic foothold in the vast Latin American market. 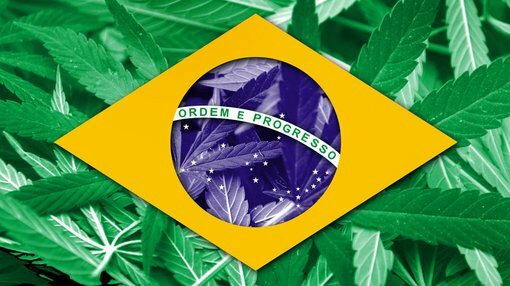 As part of the agreement, Sin Solution will assist Creso with the commercialisation of its premium Swiss Vitamin nutraceuticals and its cannabinoid-derived nutraceutical products in Brazil – with sales targeting the privately insured middle class population of 60 million people with a potential market worth over $US800 million. However, the take up of this product in Brazil remains to be seen. Investors considering this stock for their portfolio, should seek professional financial advice. Sin Solution works with a number of high-profile commercial partners in Brazil and beyond, including giant Johnson & Johnson as well as GSK, Danone and Ache Do Brasil. Biolab – among the top-10 biggest pharmaceutical companies in Brazil, with a field force of 1050 people. Biolab had sales of US$370 million in 2015, covering 250,000 medical professionals in Brazil and a market share of 2.13%. In addition Sin Solution has direct access to more than 350,000 health professionals and over 200,000 direct patients. The LatAm market is key for Creso Pharma, and consequently the ability to make a strong start in Brazil will put the company in prime position to launch its products in surrounding countries. Sin Solution will act as a commercial partner for the commercialisation of Creso’s various Swiss Vitamin premium nutraceutical products as well as its cannabinoid-derived nutraceutical products. The Swiss Vitamin premium nutraceutical products are based on INNutri’s unique delivery technology – with buccal absorption and high bioavailability – of premium vitamin mixes which can be used to support a variety of health needs. The range is targeted at the active middle-class working population. This is the first step on a journey that will eventually see Creso launch its cannabinoid-derived nutraceutical products, which use the same innovative buccal delivery technology, to treat anxiety and stress. As part of the process, Creso will register the premium Swiss Vitamin products in Brazil, followed by a launch in the second half of 2018 and the first sales of its products in the country. “This agreement gives Creso entry into Latin America via a strategic partner in the continent’s largest economy, Brazil,” said Creso Pharma Group CEO and Co-Founder, Dr. Miri Halperin Wernli.